When kids complain about being bored, print out one of these quizzes and ask them to give it a try. Not only will printable trivia for kids be entertaining, but it will also have some educational value as well. Children will love them, and you will, too! Start out with the two free printable quizzes offered on this page. These fun trivia questions and answers for kids printables offer general quiz questions. 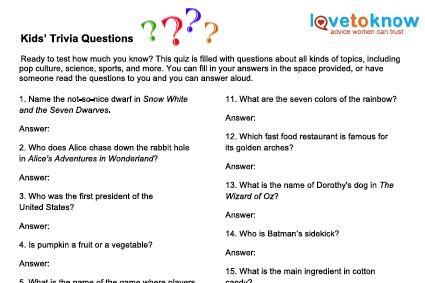 Once they've had fun with those, move on to browsing more of LoveToKnow's original quiz printables with specific themes. Whether your child wants to try his hand on a cool candy quiz or you need an educational trivia page for classroom use, there are plenty of options to keep kids busy. Each printable has a page with just the questions and a separate page that contains the questions and answers. You'll need to use Adobe to download and print them, and this guide if you need help. The Kids' Trivia Quiz is filled with questions geared for kids from eight to 12, but older children and adults will find it entertaining as well. The 20-question quiz has fun trivia questions ranging from planets to movie and book questions. 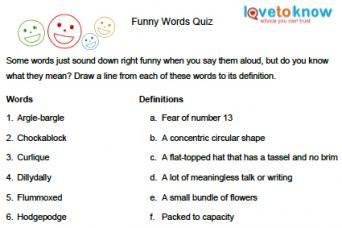 The Funny Words Quiz is a neat vocabulary builder that asks kids to match up a silly-sounding word with its definition. Kids can learn definitions for new words while having fun with this quiz page. If your kids are looking for more fun quizzes, they may enjoy some of the following topics. Like the other printable quizzes, the answers are provided on a separate sheet. Candy Quiz Questions are all about one of every kid's favorite things - sweet, delicious candy. Questions include topics like candy ingredients, slogans, flavors, names, and more. This quiz would make a terrific birthday party game, especially if the child who gets the highest score receives a candy prize. Kids will have a blast with trivia questions that mimic Jeopardy. Topics include recess, toys, movies and more. Print these Jeopardy-Style Trivia Questions out for a fun family night or to keep a group of kids busy. Unique trick questions can add fun to a family meal or be a great opportunity to get children's brains working any time. Have kids take a break from video games or tv and see how well they can do with this Trick Questions printable. 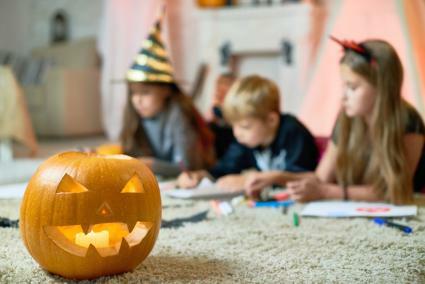 It's always fun to learn about different holidays, and kids may need things to keep busy with if they're off of school, too. The Printable Christmas Quiz includes questions about Santa's reindeer, holiday movies, and the 12 days of Christmas, to name a few. This quiz would be a fun activity for a class Christmas party. The Independence Day Quiz is geared toward older children, and it contains questions such as who first signed the Declaration of Independence and which future president wrote the document. This quiz could be used as part of a unit on this important period in American history. This Halloween Trivia page covers lots of things about Halloween, from its origins to fun facts about pumpkins and costumes. It has 29 questions to keep kids engaged (and maybe keep their minds off the candy!). If you're looking for a way to teach your child more about Columbus Day, this Columbus Day printable can help. You can use it as a gateway to discuss different aspects of the holiday, including why it's considered controversial in modern times. These topics cover a range of educational topics that could be used for the classroom, home schooling or just as an extra addition to the day's activities. Supplement a geography lesson with this 12-question Geography quiz for kids. It covers a range of questions including mapping, population and natural resources. It could also be used as a fun review activity. This printable Science Quiz is designed for kids in grades three and up and has a number of quiz questions relating to biology, astronomy, geology and more. Kids of all ages are fascinated with weather. Print this free Weather Trivia page to engage kids as you discuss or teach weather patterns. The Bible Quiz asks basic questions about Jesus, Moses, an Archangel, and books in the Bible. Some are easy enough for young Bible students to answer while others offer older children more of a challenge. This quiz would also make a nice activity for Sunday school students of different ages to work on together. Children can have many different learning styles. 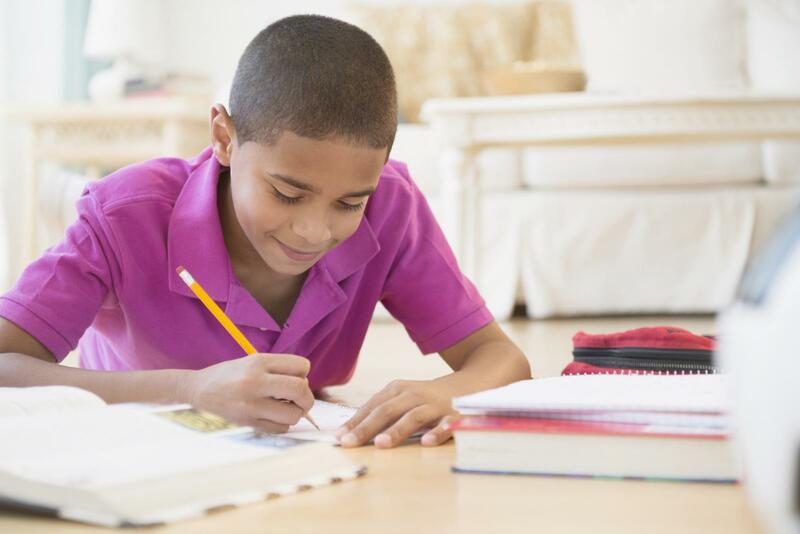 Discover what your child's learning style strengths are with this helpful Multiple Intelligence Test. You can use the results to help you teach your children concepts in the ways that are best suited to their learning styles. Use quizzes for a party activity. Once active games are done, the quiz can get kids to settle down a bit before cake and ice cream are served. Reward kids for a job well done with one of the fun quizzes. (For example, cleaning their room without being asked, doing all their chores or completing homework). Print out a few quizzes to use on a rainy or snowy afternoon when the weather's too poor to go outside. Use trivia pages as a fun way to supplement a classroom or homeschool lesson, or use as a review activity. Print quizzes for use on family nights or family get-togethers. If you have a child in your life that doesn't live close by, like a niece, nephew or grandchild, email the quiz or print it out and send it by snail mail as a surprise. If you have internet-savvy kids, check out the many interactive quizzes for kids on the LoveToKnow Quiz channel. These range from Disney and TV quizzes to general knowledge and sports trivia for kids. Who says that learning can't be fun? Some kids balk at the idea of taking a quiz outside of school, but when those quizzes are full of fun facts, trivia and entertaining tidbits, you may find that your children become hooked on them.